always buy authentic antique engravings. and it’s conveniently already framed. I like the paper’s edge and the framing. It’s a nice memento from a vacation in Venice. The paper is a bit aged and it’s hand water colored. It came with a hand drawn French mat. These are reproduced prints from Ballard Design. 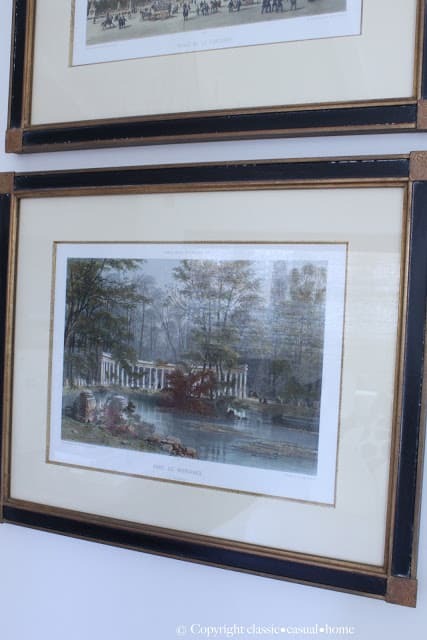 Here are real antique prints of scenes in Paris. We have four of them that we bought when we lived there. 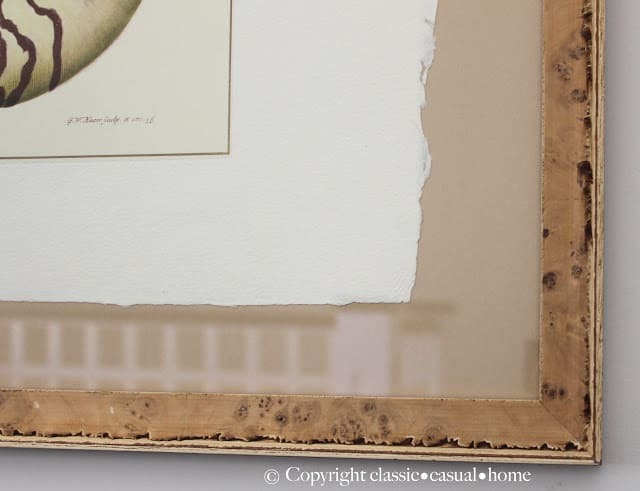 This type of frame with the square edge is a more expensive custom detail. and gold bamboo edge and another raffia mat. moderately priced compared to some others. 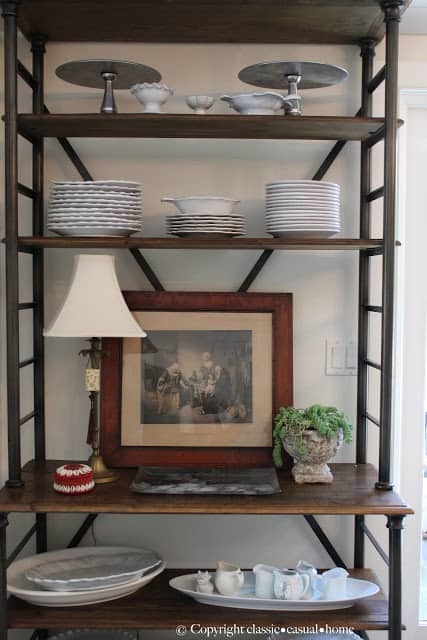 this baker’s rack,give a home character. Old Print Shop and at flea markets around the world. or if you love horses, fish, etc). you our new jute rug (on sale at Pottery Barn). The heavy texture kind of gives you a foot massage. Tommy comes home from college tonight for six weeks. So this will see a lot of bare feet here at the beach. This won’t show the dirt. Amen. Do you have authentic or reproduction prints in your home? 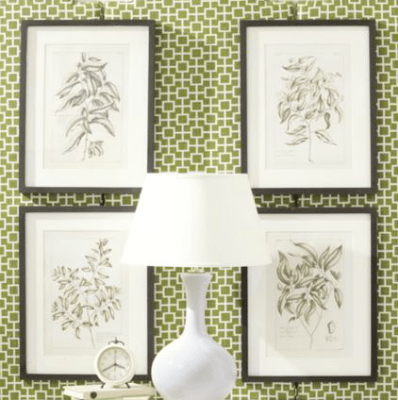 Love the prints and frames. Sarah comes home from Auburn in one hour, yahoo! Her first year finished in a blink of an eye;) I may need to purchase the same rug, gorgeous! Love the rug and all your prints. I don't have any but I've enjoyed yours'. Hope you have a fantastic weekend! I have at the both. I guess, like you, I buy what speaks to me at the time. I am constantly moving art around. Working on my gallery wall as I write this. Congrats on your son coming home! G-R-E-A-T rug. I agree, buy what you're comfortable with. Changing just the mat is an easy way to give old prints new life! I've been looking at that rug too but I wasn't sure if it was too bumpy and uncomfortable to walk on. I find that with the seagrass rug I have. Love the texture it brings to the room though! Enjoy your weekend! Great advice! LOVE the shell print!!!! You have a nice collection of real and old prints. This was a real learning experience for me! Thanks! We have a mix of both! My favorite is a signed Chagall lithograph that my husband and I picked up at a consignment store. My in-laws are REALLY into art and have a very long hallway that is completely covered…they have given us a few large pieces over the years. 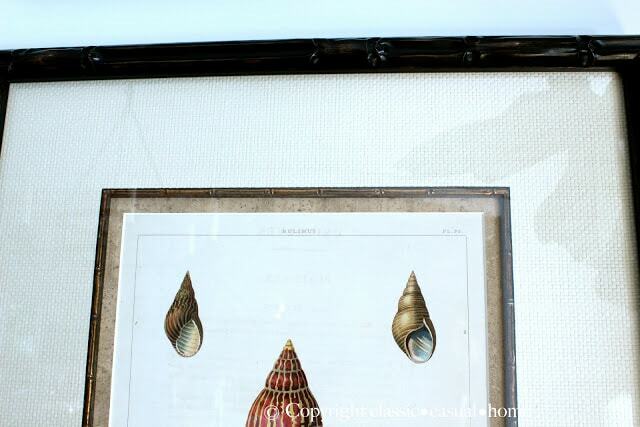 I have always loved those shell prints Mary Ann! And those bamboo frames are gorgeous. I love prints. I have a few original fashion ones and 4 in the spare room similar to the sepia ones you show. 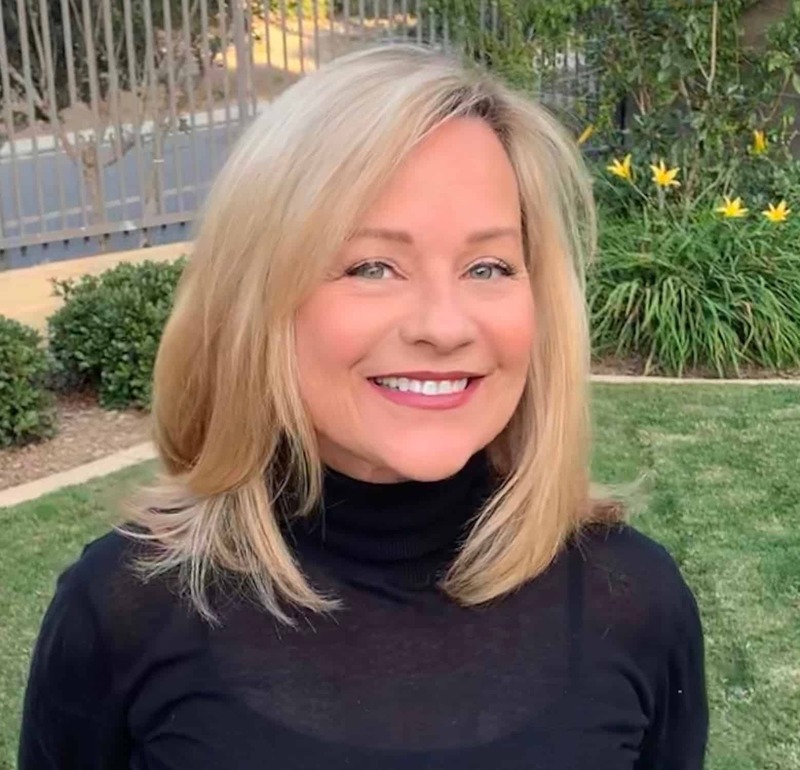 Good post…and great advice.I always say if you can, go for the real deal but its great that there are so many inexpensive alternatives, I have bought both. I think it depends on where they are going as to whether you should buy the real deal. I just bought a pair of really good ones by Lo Forti (an excellent resource) for a guest room but we have really excellent ones that we bought at Sothebys at auction a few years ago for my living room. I love all of yours..the shells are gorgeous as are the prints from Paris…and yes love the jute rug! amazing decoration ,so inspiring, love this! I love this post!! I have both, and as you said, there are reasons to buy both. In the end, it's just all about living with what you love. And, I'll say for the millionth time, I LOVE what YOU live with!! 🙂 Seeing your pieces reminds me that I have an antique in the basement of a lion, lamb and child that I need to pull out and reframe. Thanks for all the inspiration today! I learned something today! We inherited prints from my parents and I had a few. I never knew what to look for. Now I (sorta) do! Yes, the rug looks great! 6 week break? Enjoy!!! 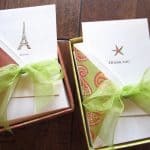 Love that you mentioned Porte de Vanves! I think it just may be my favorite resource…and I'll be there in just four short weeks. Don't worry: I'll post all that I find! Can't wait. am going to visit my family in the midwest where I grew up this month and I am going to scout for a vintage map of my home town! I'll let you know if I find one! I LOVE he rug, Mary Ann. Thank you for sharing on these prints. Your prints looks great. I think framing and matting is so important. Enjoy your son this summer. My baby graduates on the 17th. Where does time go? I remember the labor pains. Hi there, Mary Ann! I hope you are doing well and loving your beautiful Newport weather. I cannot wait to stay at the Seashore Shanty again. Still cannot believe I met a fellow blogger there that evening! I am with you. Buy what you can afford. Your prints are SO beautiful! And you have some that come along with a wonderful memory of where you got them. 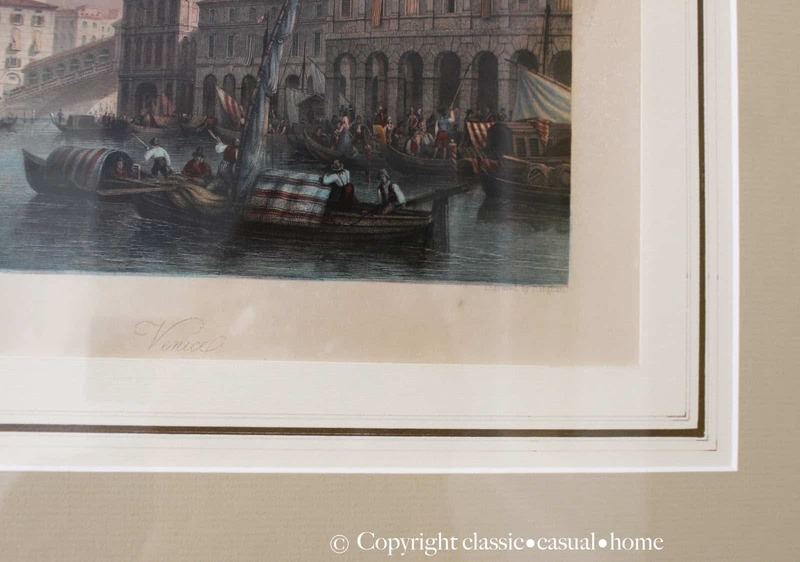 Unlike some art, great prints are such a classic and something you can enjoy for years and years. I love your new rug! It really warms up you already gorgeous living area and it actually looks very soft! I love this type of artwork. 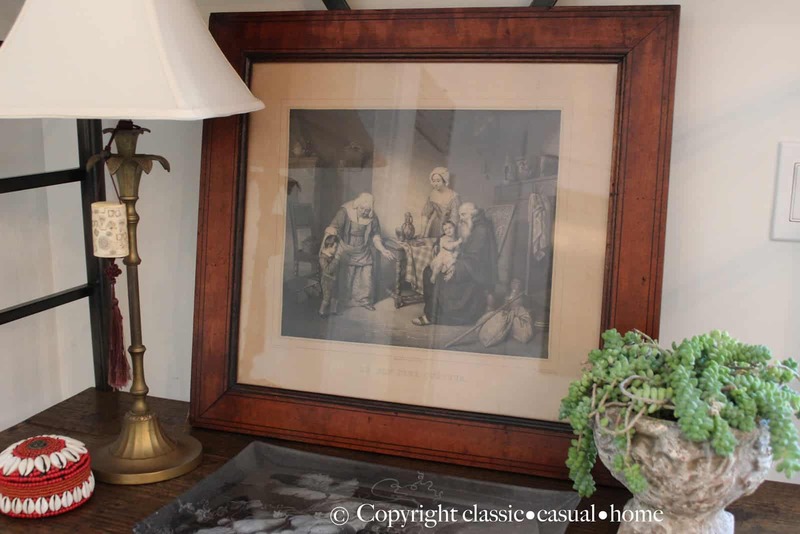 I treasure my 18Century hunt scenes , but my new prints I bought with the same idea as you….too much sun in the dining room for antique prints; so I went new. 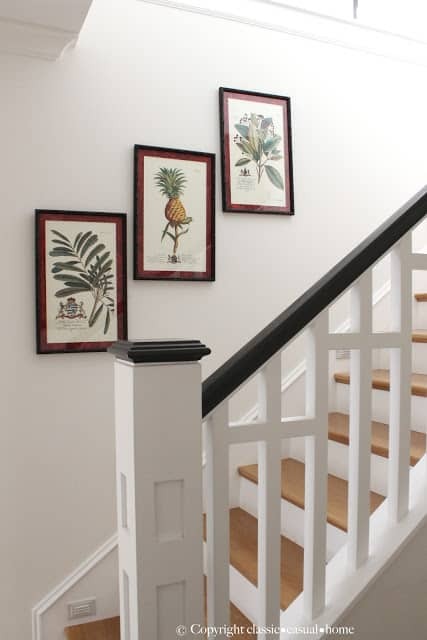 I love your prints and how you incorporated them into your home. Beautifully done:) ps so lucky to have your son home, our daughter won't be home this summer:( Enjoy the time! Mary Ann…I have been looking for some shell prints for awhile that are not a fortune! 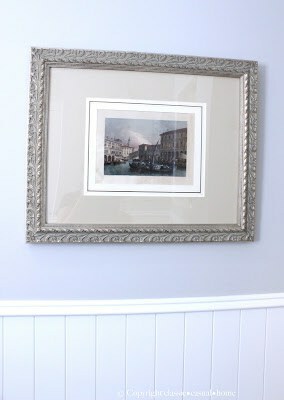 I also love the frame style you chose…its my favorite style…I had all my botanical s framed in the same style of frame. I might have to brake down and pay a little more to get what I want…its hard to find a reproduction in a unique wood frame…there all plastic to look like wood…it just doesn't have the same look! Thanks for the lesson on finding the real deal! I needed that! You know I've been looking for prints for my dining room but they all seem so small (5×8). Is that the norm in authentic antique prints? I've eyed that rug many times and just love it. It looks amazing in your living room. I too wondered if it would be comfortable to walk on but who cares….it looks great! 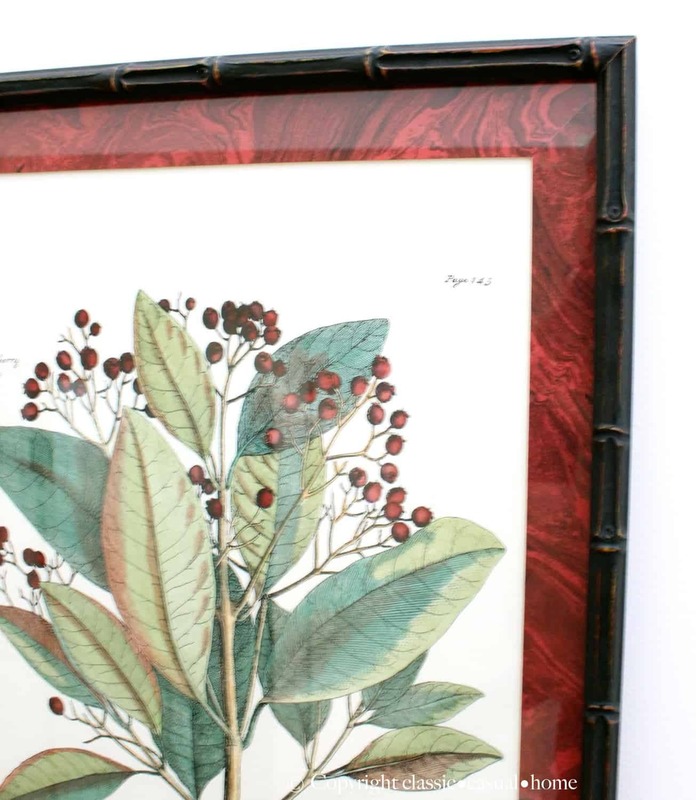 I loved this post because I love antique botanicals and you have some beautiful pieces of your own! I have some in my shop that – if they don't sell soon – are going up in my own home! Beautiful post. Such a great post full of inspiration. I so agree that the originals are always more beautiful, but they make some pretty good reproductions now too. Love all of yours!! Yes…we have all kind of choices now with reproductions. I definitely have a mix in my home of originals and reproductions. If you mix them nobody knows right:) Love the new rug! 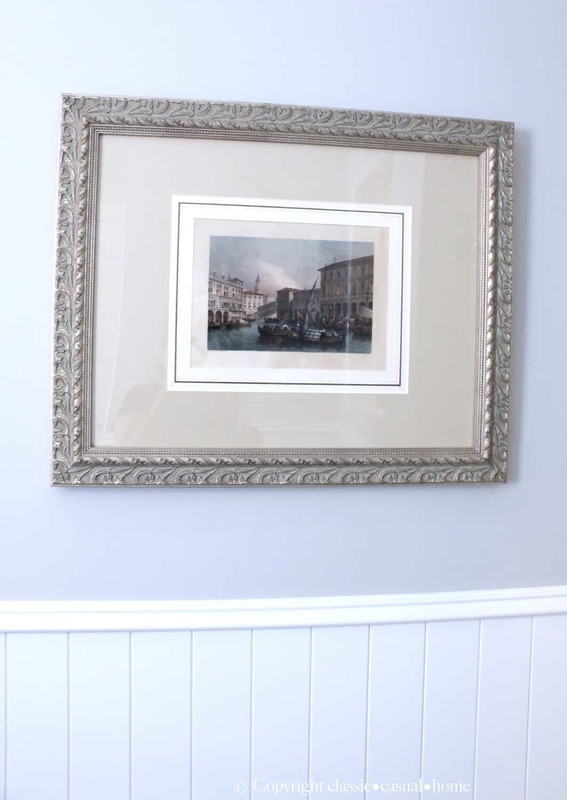 You have so many lovely prints in your home, Mary Ann! And your new rug looks great! 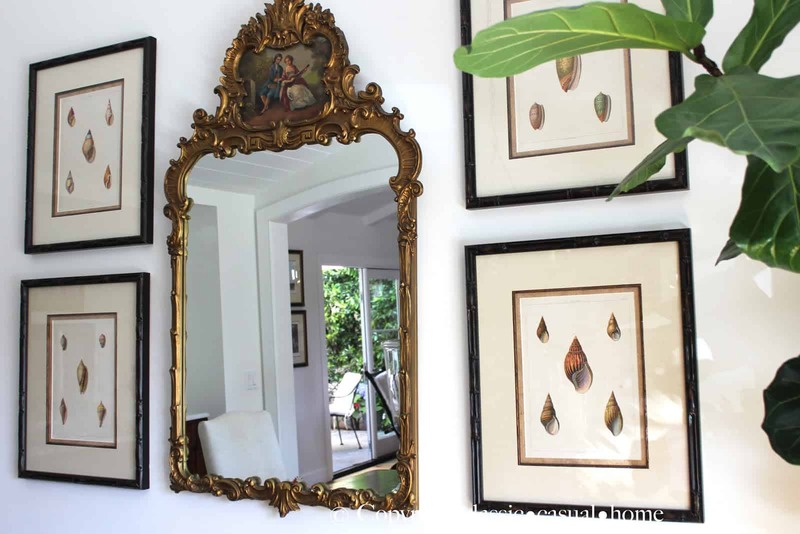 Your bamboo frames look amazing with the art. Design is in the details, right? Great post! I think art is a great way to tell your story and I love how yours is personal to your family's life. Great post! I buy what appeals to me, but most of the time, that's an original. And if I buy it framed, I always inspect it. The 18th century maps my Sis confiscated for her office (that you designed so well!) were framed with an ancient Maytag cardboard box behind, and Maytag lettering came off on the back side of the maps. So more than the framing, I worry about having acid-free paper for conservation. That said, if someone in my family really wants something like a colored tiger engraving I have, I have just made a really good color copy of it and framed it for them; they love the reproduction just fine…. Great post! Love your blog! I have a print from the Louvre's cartographie department – a 1729 engraving plate struck in 1986. Upon returning home I took it to the local frame shop in suburban Chicago. Now, almost 30 years later, I noticed that the adhesive the framer used is showing through the paper. Apparently it wasn't archival quality. Any suggestions for repairing it? I'm afraid it's just going to get worse. Love your art work AND the way you've framed everything so beautifully. Good framing really does matter. The rug looks great too! Tenho muitas reproduções em casa, sempre que vejo e posso comprar, prefiro os originais. Amei seu tapete de juta. Love all of the prints and thanks for the advice on how to tell what's what. I am filing it away for safekeeping. 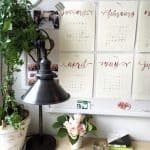 I just figured out how to follow you on bloglovin' and feedly. So much easier for me than email, so you'll know what happened to me. It's fun to learn how to do new things. Great post, like the bamboo frames and the cork and raffia mats. I am terrible with art, (I guess we can't be good at EVERYTHING!). I know you will enjoy your son for the summer, lucky duck! 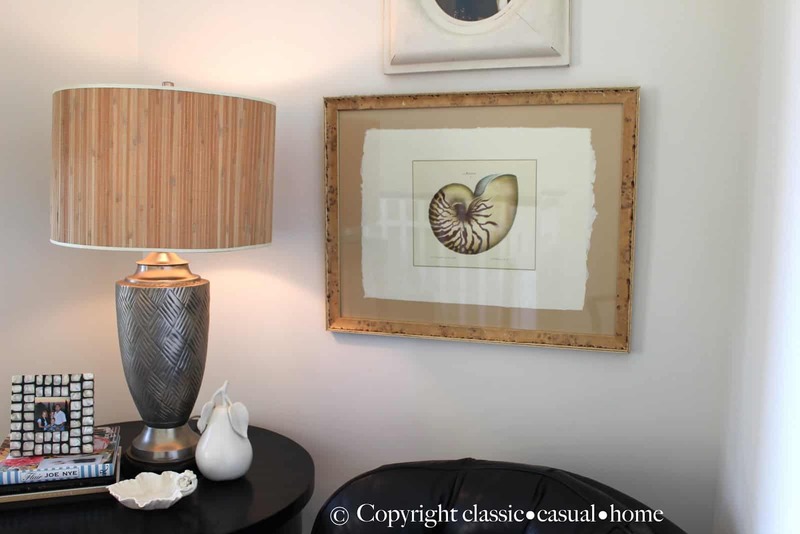 Mary Ann, I love the shell prints and the way you had them framed. I lean toward the older paintings and prints but I have a mix of old and new. Would love to buy the real thing! It is always a treat to see glimpses of your home. 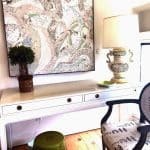 interesting ideas to revamp your home. 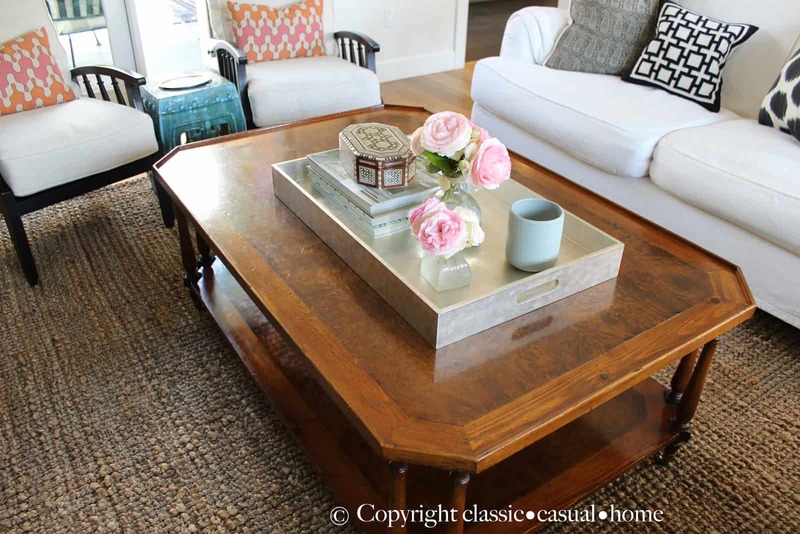 jute rugs Ornate or simple patterns, bright or neutral colors, rectangle or oval; consider all design elements to make your chosen sisal rugs sisal rug simply perfect for your living area.